Our Christmas focus has changed this year. Our family has not simply decided to "Keep Christ in Christmas," we are striving to making this year's holiday all about HIM. I thought I would share some of what we're doing here, to help us keep our focus where it should be, and also to possibly inspire others in their celebrations of the birth of Christ. 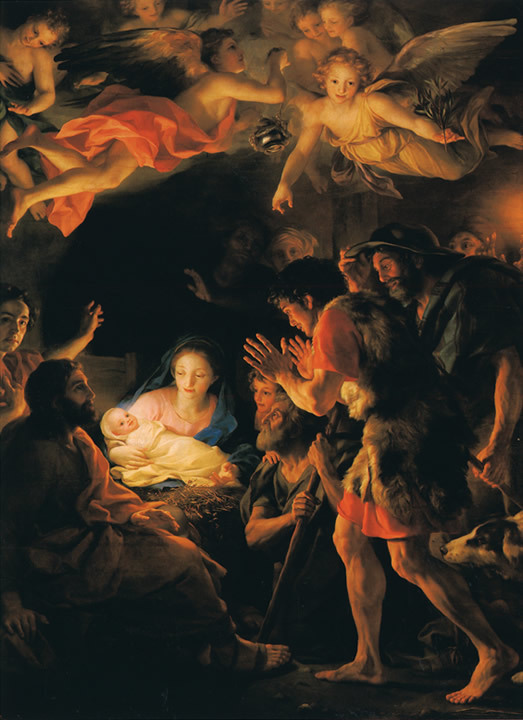 For today's post, I'd like to share a beautiful, SHORT, article about keeping our Christmas perspective where it should be. "The Christmas season is wonderful in many ways. It is a season of charitable acts of kindness and brotherly love. It is a season of being more reflective about our own lives and about the many blessings that are ours. It is a season of forgiving and being forgiven. It is a season to enjoy the music and lights, parties and presents. But the glitter of the season should never dim our sight and prevent us from truly seeing the Prince of Peace in His majesty." May the Lord bless you and your family as you simply celebrate the true meaning of Christmas this year. Merry Christmas, dear friends! Great reminder! I always strive to do this, but my intentions are not always enough. Merry Christmas to you and your family. I love your goal of a Christ Centered Christmas; that is what it is all about.